Did you know that Mother Nature is actually good for your health? Science tells us— it’s a fact! And while we are so fortunate to live in a place so dedicated to preserving the natural beauty that surrounds us, we can’t always have access to it in these colder months. With the days still short and the sunlight still scarce, it’s no surprise that just about all of us, to some degree, can succumb to those pesky winter blues. Lack of sunlight can lead to vitamin D deficiencies and even impact our brains’ ability to create serotonin, among other issues. 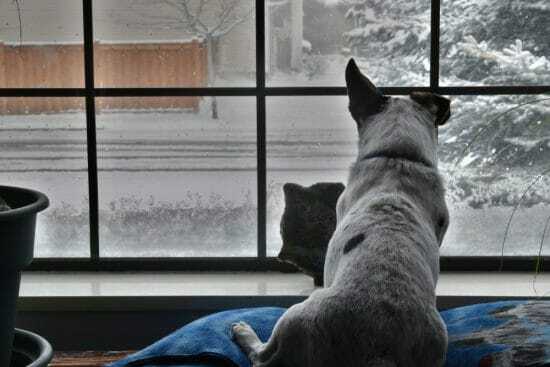 Luckily, there are several simple ways to use Mother Nature (and even replicate some of her healing effects) to relieve these sluggish winter blues. 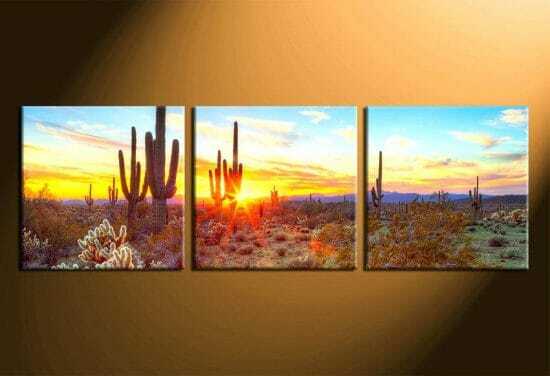 Several studies have proven that having a connection to nature, whether it be through indoor plants or artwork emulating a natural environment, can decrease stress levels and stimulate healing. And even if you are feeling happy and healthy this winter, using Mother Nature to freshen up your space is a boost for anyone’s mood! From indoor plants to nature prints and natural hues, read on to learn how to bring life and light back into your life this season. Liven Up Your Home — Literally! 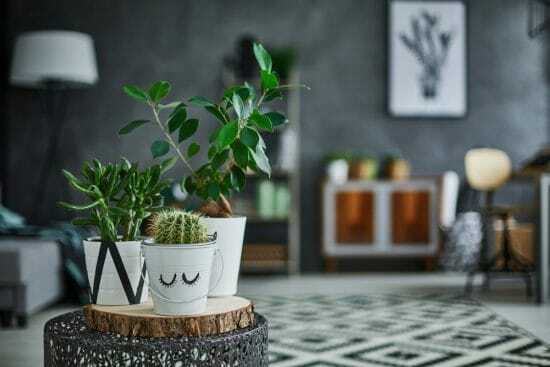 The simple addition of a houseplant can do wonders for your mental and physical health, but not just ANY plant! 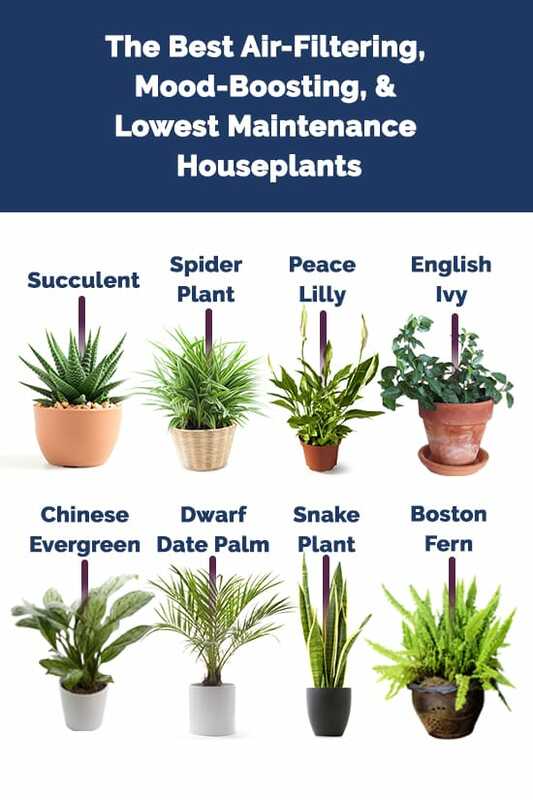 Listed below are the top houseplants for best improving air quality, your mood, and are easiest to care for. Fortunately, these plants are all fairly common and can be found at our local nurseries year-round. 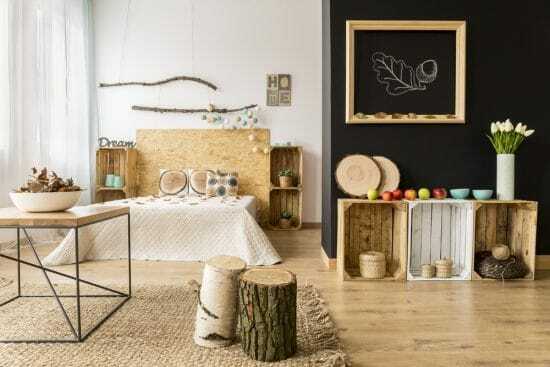 There are several ways to incorporate natural wood into your home’s interior. Bringing in live-edge, or reclaimed, wood is a great way to start. 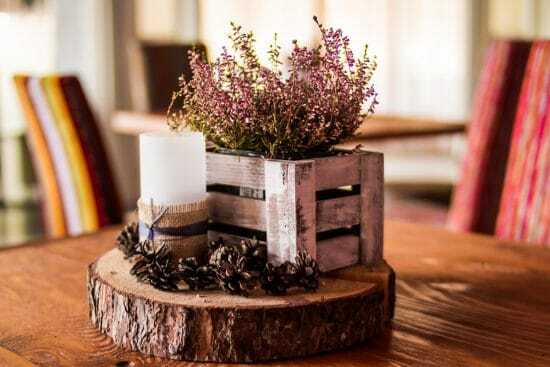 Adding a piece made from reclaimed wood to your home establishes a rustic look that harmoniously connects your living space to Mother Nature herself. 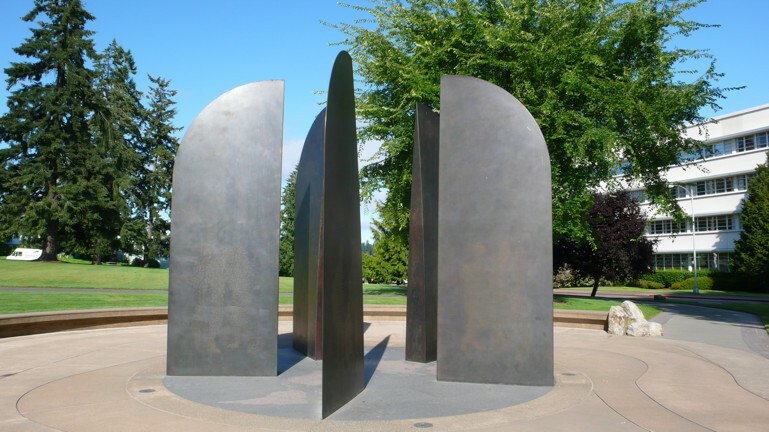 It also adds a unique sense of character to your space, as each piece maintains the natural shape of the tree. You can find (or make, if you’re the craftier type) tabletops, headboards, shelves, accent pieces, or even use it for your flooring if you’re considering a remodel! Even using wood as an accent piece or part of your decor brings those natural elements inside your space. 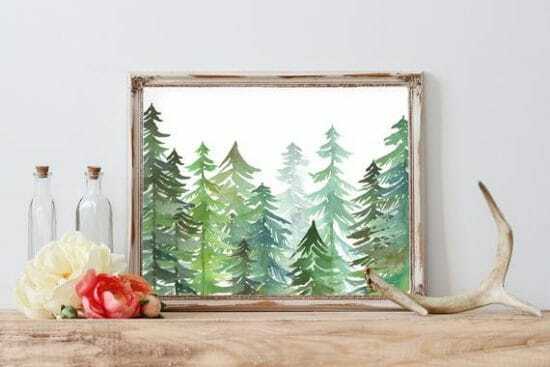 You can take branches and transform them into charming wall-mounted works of art or put them in a vase. If you have a fireplace (even if it’s non-functional) you can make an elegant display of your firewood. Fortunately, there are several creative ways, ranging from very small to pretty large, to beat this battle of the blahs with your home lighting. Utilize mirrors. 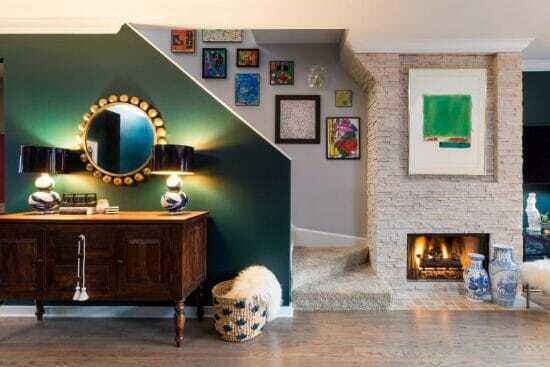 Help light bounce around the room by placing mirrors around the home. Check to see where the sunlight will directly reflect against the mirror to cast the maximum brightness between the walls. You can add to the mirror effect by choosing accent pieces with a metallic sheen (i.e., silver candlesticks or brass sconces). Open your drapes. Going au natural with your windows and doors not only significantly opens up the space but also greatly increases the natural light. 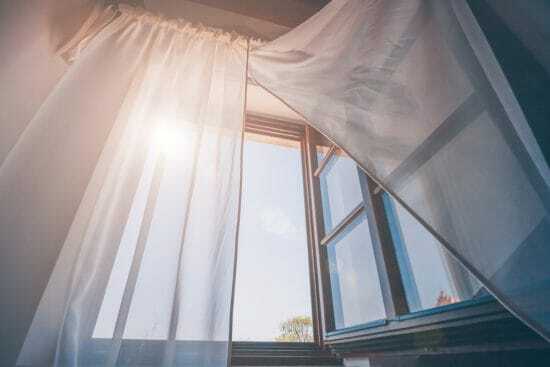 Letting the sun be your alarm can also reset your sleep cycle by getting your circadian rhythm back on track. 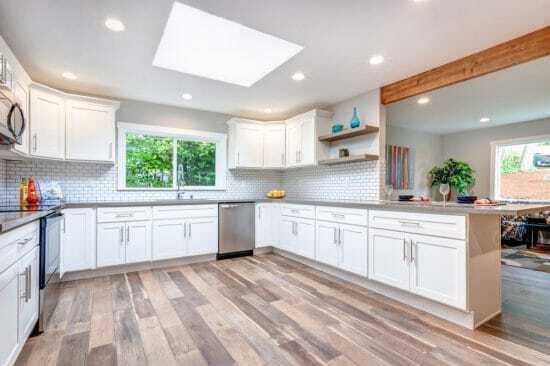 Install a skylight, floor-to-ceiling windows, or replace wall space with glass. Though these are much larger projects to take on, if you’re planning a home renovation, this might be something to consider. This brings a considerable amount of natural light where otherwise no light would be able to enter. Consider a light therapy lamp. Especially if the above suggestions aren’t as feasible for your home. Light therapy has a proven track record for treating the symptoms that come with seasonal affective disorder and depression. These lamps come in a variety of sizes and price points and can easily be found, even on Amazon. Color is much more than just visual experience. Color is actually a psychological experience that can drastically alter mood and emotion. And though it affects different people in different ways, certain shades evoke a similar response from most people. The colors you choose for your home will definitely set the tone for your home. From an accent wall to painting an entire room or hallway, using Mother Nature’s hues in your decor is a great way to radiate cheer during these winter months. Green — Calm and relaxing, green is the color of Mother Nature herself. It is known to symbolize growth, harmony, freshness and strong emotional correspondence. Green is considered beneficial to the mind and body and is even known to have a calming effect. Blue — Blue is notoriously cooling and calming and most commonly associated with the sky and heaven. This hue is idealistic, spiritual and sincere. White — Painting your walls a bright white can drastically brighten and open up your space. White is typically associated with light, goodness and cleanliness, therefore creating a sense of contentment. Yellow — The color of sunshine is unsurprisingly associated with joy, happiness and good energy. Yellow produces a warming effect and stimulates mental activity. 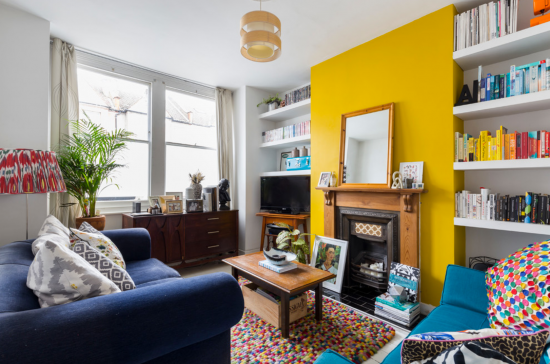 However, when using such a bright hue, you will want to keep it smaller, as 4 bright yellow walls can be overwhelming. Orange — Orange combines the vibrant energy of reds with the cheer of yellows. You should also follow the same rule when painting with orange as with yellow, less is more. When the reality outside your window is gloomier than you’d like, you can welcome the outdoors with a photograph, print, or painting of your favorite landscape. Even stimulated views of nature have been scientifically proven to reduce stress and increase productivity. Maybe it’s a photograph of the ocean horizon from a vacation you went on that you want to enlarge. Or perhaps you saw a gorgeous painting of palm leaves that you’d like to hang. You get to choose which tone you’d like to set when choosing your art. A field of flowers on a bright, sunny day conveys a much different mood than a dark and mysterious forest or even the crashing ocean waves at the shore.